Whether you’re building new or refurbishing traditional facilities, we can help you create the perfect interior seating solution to enhance your audience’s experience. We appreciate the unique style and charm in each Theatre and Auditorium space – from its size and shape to its layout and architectural features. Our seating solutions come with a full range of detail seat attributes to beautifully match any interior surroundings. Hussey Seating Company customizable audience seating comfortably seats your audience and enhances any architectural space. 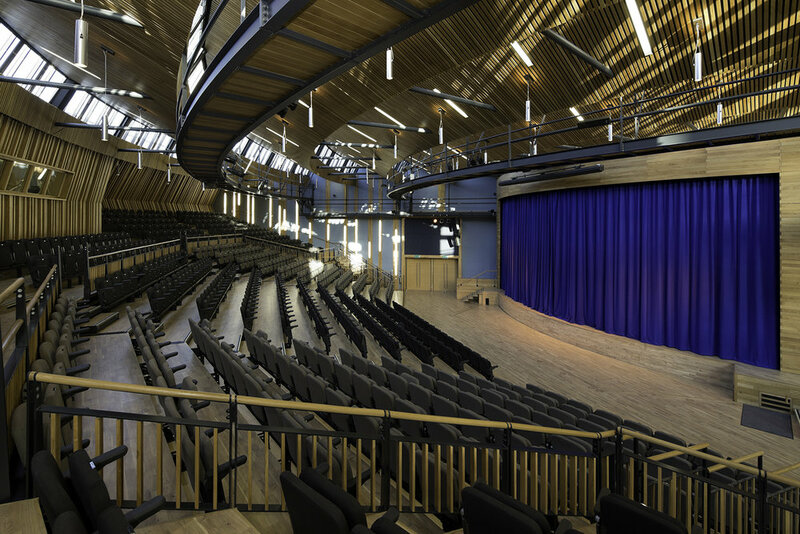 In Auditoriums, Lecture Theatres, Performing Arts Centres and Corporate Learning Venues, our seating solutions ensure the user has a comfortable and memorable event. Make inspired design, premium materials, durable construction, rigorous quality control and superior acoustics part of the experience when you choose Hussey fixed seating. Multi-use environments like Performing Arts and Black Box Theatres demand multiple, flexible seating configurations. When you need to maximize the flexibility of your floor plans, make Hussey Seating your Theatre choice. Our Chair platforms allow you to seat big crowds or cater for small intimate audiences, and everything in-between.